My mother forwarded me the photos of this nursery featured on Belle Maison last week. 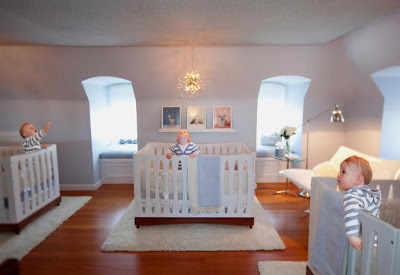 The nursery is just stunningly simple and modern and I had to share it with my readers. It was designed by Marsh & Clark Design out of San Francisco for the 2010 San Francisco Decorator Showcase. I'm still trying to figure out the manufacturer of the dresser and cribs but I love them and the serene color palette of the nursery. Truly a calming and sleek space. For me the furniture and lighting steals the show in this room. 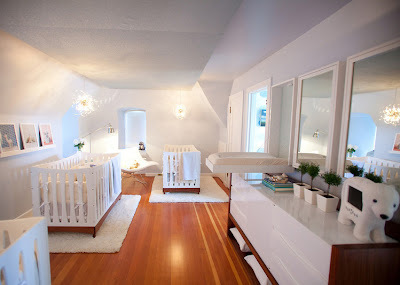 I love the whimsically modern custom chandeliers over each crib. This dresser could work in any room of a house and the one painted accent wall breaks up the powder blue solid color on the rest of the walls. The naturally dramatic lines of the ceiling in this attic also help make the space more interesting. And notice how none of the cribs touch the walls? They are just floating on the center of rug "islands". And take a look at the mirrors, they double as changing tables. For an idea of what it would look like for just one child here is a shot of just one of these cribs. Again a special thank you to Belle Maison for showcasing these photos on their wonderful blog. Love how their are rugs for each crib (Oeuf?). The chandy is stunning. This has to be one of my favorite nurseries EVER. 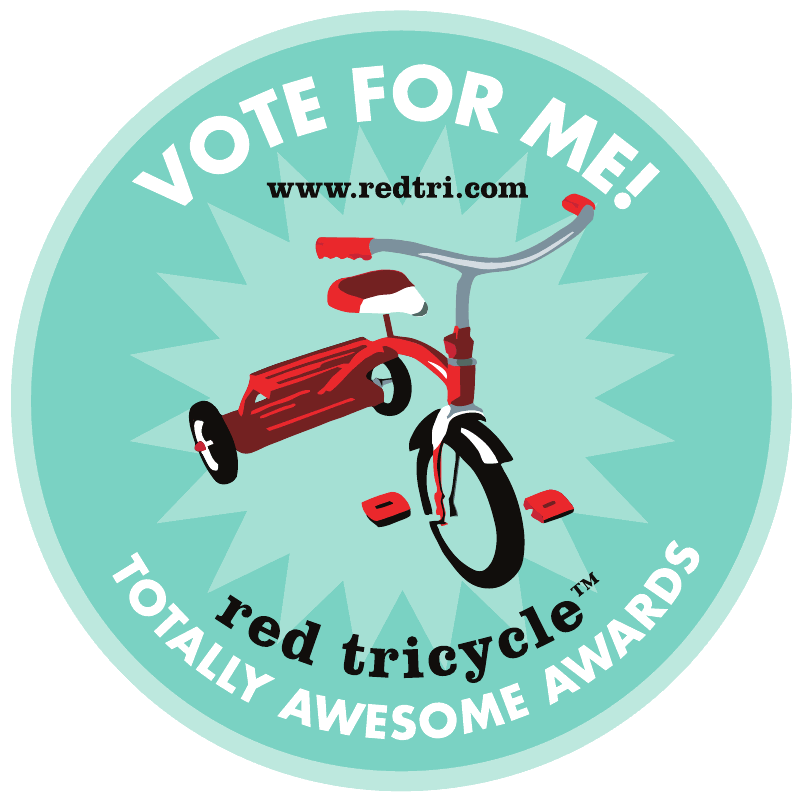 Thanks again, so glad that people like our nursery! Thank you Stacey! 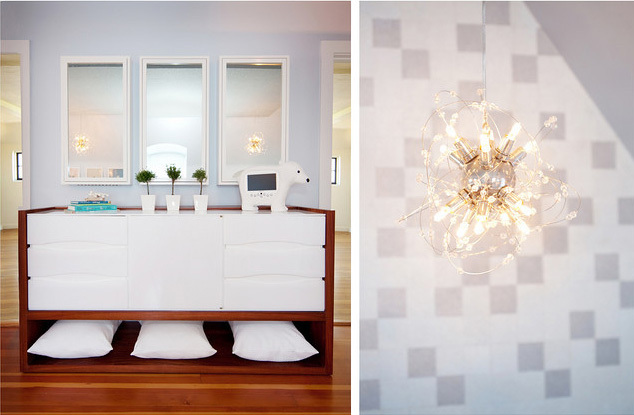 Absolutely love your designs in the cribs and credenza. Such beautiful work!